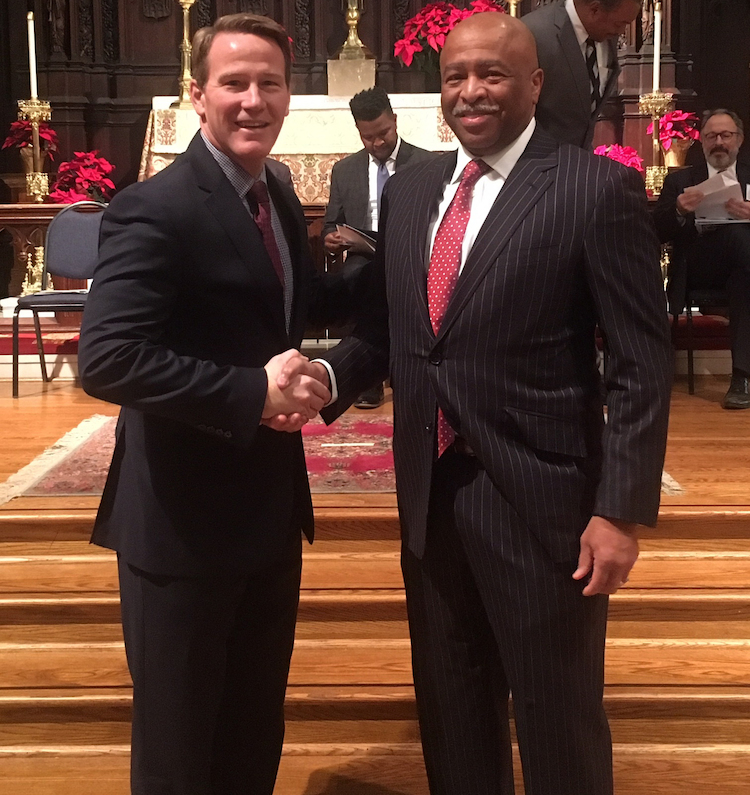 Walsh University Chief Diversity Officer Michael Douglas '88 was honored by the Ohio Dr. Martin Luther King, Jr., Holiday Commission with the Community Building Award for his efforts to advance nonviolent social change. 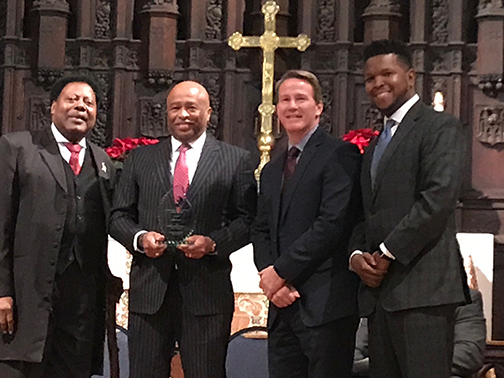 Douglas was one of seven individuals and organizations honored during the at the 34th annual Ohio Dr. Martin Luther King, Jr. Commemorative Celebration on Thursday, January 17, in Columbus, Ohio. The Community Building Award is awarded to those individuals who have made significant contributions toward building a sense of unity among Ohio citizens. Those receiving this award have demonstrated the ability to build safer communities through various activities and programs that help to revitalize areas and make our communities a more wholesome and desirable place for living, learning and loving. Each recipient has used Dr. King’s vision of nonviolent social change in efforts to successfully bring people from diverse backgrounds together to build a better community. With more than 25 years of experience designing and facilitating diversity, inclusion and multicultural training sessions for schools and corporations, Walsh alumnus Michael Douglas ’88 was formally appointed the University’s Chief Diversity Officer in 2015. Walsh University President Richard Jusseaume stated that Douglas provides insight and guidance to the University’s Diversity Council whose 20 members focus on maintaining a welcoming, responsive and positive environment for the entire campus while promoting understanding of intercultural competence and cultural diversity sensitivity. Michael Douglas is also the founder of Diversity Initiatives, Inc., which helps public and private organizations advance positive interaction and communication across racial, cultural, socio-economic and gender-based boundaries. He serves as a consultant for many companies and school districts including the Cleveland Clinic and TRW, Inc.
Douglas co-authored “The Ten Hidden Rules of Success,” a guide that explains the hidden rules which guide decision making in society that teens and young adults do not intrinsically know. Outside of his consulting work, his public service has included serving as a member of the Geauga County Public Library Board and the West Geauga Local Schools Board of Education.